Yep, it’s my birthday today – the big 3-3. Phew. In celebration of my birthday, I wanted to offer all of my wonderful readers a gift! Nothing fancy, and it’s not wrapped with a big bow, it’s just a thank you for being such great readers!! Have a great day, and a Happy New Year! Tell me this wouldn’t make our lives easier as teachers? I’ve been eyeing this cutting machine for a while. It’s kind of like the other “big one” on the market, except it doesn’t require cartridges! You connect it to your computer, and it uses the fonts, clip art, etc. that you already have on your computer! You can also download shapes from their website. It will even cut vinyl! Sooooo cool…and I want one! My birthday is on Friday and it would make an excellent gift, don’t cha think?? This blog, Brown Paper Packages, is giving one away! I really, really want to win!! Go over and check it out! We had a blast the last few days before our holiday break. We went all the way up to the 22nd, so we stayed busy with lots of fun activities! We did a big unit on the gingerbread man, and read many stories. We didn’t bake a gingerbread man to run away this year, it is just one of those years! In the past, I have done a gingerbread man around the world them, but I didn’t want to attempt that this year. If you are interested, I could post pictures of that at some point. We started out study reading the classic gingerbread man story with him hopping on the fox’s back to get across the river. After we read the story, we started thinking about why he couldn’t go in the river. Some children figured it out right away, but I wanted to get some “inquiry” going on. Each group of 3-4 got a bowl of water and a gingerbread cookie. We made hypothesis in our science journals about what we think might happen. Each child then put their cookie in water and watched and observed. We took notes in our science journals about what happened to the cookie. The last experiment we did was a bit last minute, one of my dear friends from another school sent me this idea, and boy did the children have fun with it! We started thinking about other ways that the gbm could get across the river. We brainstormed and charted all sorts of methods. The children finally concluded that he should have built a boat. We talked about the supplies that we would need (things that we have in our classroom!) if we were going to build a boat for him. The children had to make a plan with their group and write about it in their science journals. Through trial and error, they had to come up with a plan. We had MANY creative ideas! It was so exciting to watch the children work together to build a boat. We had just read The Gingerbread Pirates, and one group was building a pirate ship! They did a great job, and learned about what makes a boat sink or float! This is the making words activity for GINGERBREAD. We did this activity in a large group. I put all of the letters in the pocket chart and the children came up and moved the letters around to make different words. They came up with many words I didn’t even think of! As they built the words, they wrote them on their response sheet. Each day we read a different gingerbread man book. We paid close attention to the characters, the refrain, and the ending. We charted this at the end of each story. I had big plans to make a big gingerbread house for each story, but never got to it. I guess it will have to wait until next year! Deanna Jump had a great idea for a response journal, and I snagged that from her! Here are some examples of what we wrote about in our response journals. I included both literacy and math in this journal to keep everything all together. The children got to know the routine and did a great job. For the math problem solving, we always started off as a whole group – we read the problem together and started brainstorming ways to solve it. Does thins helped my lower kids get a goo d start on their thinking. You have to promise not to laugh at my poor, pathetic attempt at a gingerbread man. I DON’T know what happened, but he looks more like that stay puff marshmallow man that a gingerbread man. I guess it was my attempt to bring some laughter and giggles to this wing of the school! On his belly is our pie chart for which part of the gingerbread cookie we ate first. The response sheet is above. There is also a graph that went with it, but we just didn’t have time to get to that. This gingerbread idea came from Deanna’s Gingerbread Packet at TPT. I am so thankful for all of the awesome kindergarten teachers out there in the blogging world that share their ideas! It really keeps me on my toes! This idea came from Mrs. Lee. Isn’t think GBM so much prettier? Yep, I used an overhead for this one. We made predictions about how tall we though he would be using the peppermint candy clip art. We charted our predictions (I forgot to take a picture of that chart too!) and then confirmed or disconfirmed or predictions when we measured him. I used post-it notes to write their predictions and then we moved them to the correct space. (too big ,too small, just right). We then made a prediction about ourselves – if we were taller than, shorter than, or the same height as the GBM. The children took turns laying down next to him and the rest of the children decided their height in comparison to the GBM. They went back to their tables and finished this response sheet. They glued on the correct number of peppermints for how tall the GBM was and drew themselves next to the 2nd GBM to show how tall they were in comparison to the GBM. Make sense? This activity could be done as a center or whole group. We did it as a whole group. This is a syllable sorting activity. We clapped the number of syllables on the picture on the GBM and sorted it into the correct jar. This came from Deanna’s Gingerbread Packet as well. The children then completed the flip books independently. This is a flannel board activity that I got from a friend last year. The children each pulled out a “cookie” from the jar and matched it to the correct gingerbread house. It was so simple, but the children had a blast. I’ve also used this as a literacy center. The children match the upper and lower case letters and then write the letters in a grid. I like to do an alphabet writing sample once a month (at least) to have a samples throughout the year of their growth. These go into their portfolios. We also read and illustrated Deanna’s The Little Cookie book. This book is available as a free download on her blog. This counting game is called “Spill the Presents.” I got this idea from Kim Adsit. We’ve played it with spiders, rocks, and coins. The children love this game, and I just change the novelty of it each time! I found the cute Santa bucket at Pier 1 and the presents at Michael’s. The children sit in a circle and pass the bucket around until the music stops. Whoever is holding the bucket dumps it out and counts the presents back into the container. You can also play this “backwards” by telling them how many are in the bucket (say 20) and they count backwards to put the presents back in. I already have my “Spill the Mittens” and “Spill the Snowmen” ready! This idea came from Kim Adsit’s Christmas Pack on Teacher’s pay teachers. The christmas trees are elkonin boxes! How clever is that?! The children drew a picture card from a pile and stretched out each word. I then had them write the word. We did this game in our RTI groups. This was just a quick and easy activity we did during reading groups. We read the book, Mr. Willowby’s Christmas Tree and decorated little christmas trees. We did this on the last day before break. Both the teacher’s and the kid's needed a no-brainer activity! We learned about wholes, halves, and quarters this week and played this super fun fraction game! I did most of the activities for this short and “sweet” (literally) unit from the awesome blog Krazy for Kindergarten. 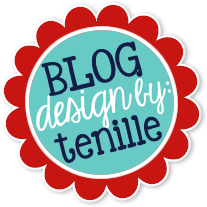 Be sure to head on over there to read her great blog and snag some awesome ideas! We played LOTS of math games this week! This is Roll. Count, and Compare from Kim Adsit. Once the kids got the hang of this game, they loved it! They compared it to the board game “Trouble.” This game is also from Kim Adsit. On the last day, we sorted and ate “Reindeer Chow!” Thanks again to Julie Lee for this great idea! The kiddos loved it! Who knew they were learning?! This was an art activity that I did at the beginning of December for some ceiling décor! Simple and cute! It’s hard to see from the picture, but these are the ornaments the kids gave to their parents for gifts. I always shop early for blue ornaments because they are hard to find! I pain the children’s fingers and they decorate them like a snowfamily! A-dorable! Here is one more idea that I never got to! The game is called “Santa’s Missing Reindeer” and it’s all about opposites! You could use it as a literacy center or as a whole group activity. Phew – now on to snowmen and winter! These are the car scent thingy’s from Bath and Body Works. Christmas themed hand sanitizer bottles. These are just bars of Cadbury chocolate (not as good as Norwegian chocolate, but it’s the best we can find here!) decorated for Christmas. Eighteen 25 has the labels that you can download. The last pictures are what I made for K’s teacher (3rd grader). She is a first year teacher and has done an AMAZING job! I have made one of these clip boards for my daughter’s teachers since 1st grade. Her kindergarten teacher will have to wait until my youngest has her I LOVE making them, and each one turns out so different and unique. I just need to find the time to make one for myself! Off to knit! Need to finish the other mitten and next up is a ear warmer…although I’m tempted to put the other mitten on hold and start the ear warmer – it’s SOOO cute! And I WILL get other photos up too! I have some great ideas for a few winter units, so be watching! Blog Hop: Recycle This: Mystery Bottles!